The small island of Minorca, Menorca or Minorca is one of the Balearic Islands located in the western Mediterranean. There, researchers have recently unearthed the fossilized remains of a giant rabbit. This massive rabbit (Nuralagus rex), measuring 60 centimeters in length and 30 centimeters in height, weighed in at 12 kilograms, some ten times the size of its extinct mainland cousin (Alilepus sp.) and six times the size of the living European rabbit (Oryctolagus cuniculus). The scientific name, Nuralagus rex, roughly translates as 'Rabbit King of Minorca', because nura is the ancient Phoenician name for the island of Minorca, lagos is the Greek word for 'hare' or 'rabbit', while rex 'means 'king'. 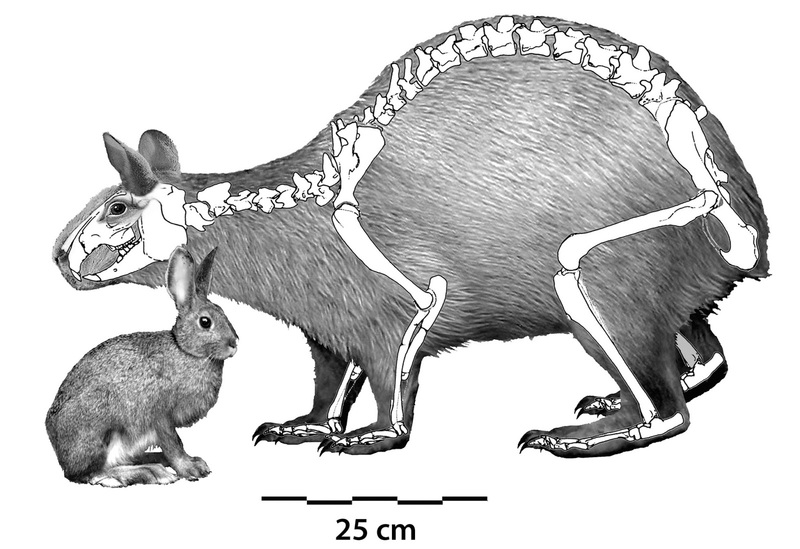 This 'rabbit king of Minorca' lived approximately 3 to 5 million years ago and may be one of the oldest known cases of the 'island rule' in mammals. This rule states that when on islands, big animals will get smaller and small animals will get bigger. This size change on islands may be due to  reduced quantities of food or  lack of mainland predators. On Minorca, Nuralagus rex lived with few other vertebrate species. Some of its neighbours included a bat (Rhinolophus cf. grivensis), a large dormouse (Muscardinus cyclopeus) and a giant tortoise (Cherirogaster gymnesica). In the case of the Minorcan giant rabbit, the lack of predators allowed this rabbit to reach its giant size. 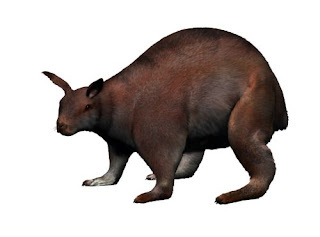 The researchers found that this giant rabbit had also lost its ability to hop. The long springy spine of a mainland rabbit was replaced by a short, stiff spine that would make jumping difficult. Instead, this rabbit was most likely a digger, searching for roots and tubers to eat. This is an indication of a lack of fresh green grass. Additionally, because of lack of predators to worry about, Nuralagus rex developed reduced eye socket size and reduced auditory bullae, suggesting smaller eyes and ears. Which means that this creature didn't have large flappy ears, but relatively diminutive ears for its size.